A lot of people in Crouch End struggle with their domestic cleaning chores. Since there are a lot of tasks that may be on your schedule, cleaning adds up the stress and chaos of a hectic life. It doesn’t have to be this way, as our company Top London Domestic Cleaners has long found out. Thanks to companies like ours, you can now scratch off those cleaning chores from your schedule, because we are here to address them. Our company provides specialised domestic cleaning in Crouch End and other London areas. When you have decided that you have had enough cleaning already, you can contact us on 020 3322 8143. We will take the details of your enquiry and then proceed to book a cleaning service for you. Whether it is a one-off visit or a regular contract, you can count on us to provide exactly what you need. You will no longer come home and frown at the mess you don’t have time or energy to clean. You will also not stress over backbreaking cleaning chores that only prevent you from spending your time however you want. Top London Domestic Cleaners is the right company for you and our domestic cleaning service has the potential to change your life around. 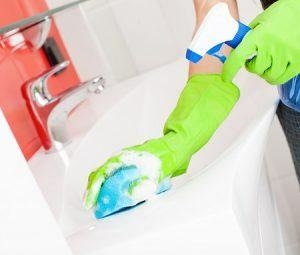 What do you get with our domestic cleaning in Crouch End? You get a very budget-friendly service, with a price that fits every budget. Fear not that you will overpay or leave your bank account empty because Top London Domestic Cleaners is a well-known company for its affordable prices. Once you have booked our domestic cleaning in Crouch End, we will be sure to send out a professional cleaner to your home per your requirements and needs. You will find that having someone else take care of the cleaning challenges surrounding your place is truly great. You will have more time for yourself and your loved ones. All of that is a mere phone call away. Make it today on 020 3322 8143 and you will see the benefits. Crouch End is among the areas situated in the north part of the capital. It is part of the London Borough of Haringey. The area rests in a valley surrounded by multiple areas: Muswell Hill, Wood Green, Hornsey (north), Archway, Stroud Green (south), Highgate (west), Harringay (east). Apart from that, Crouch End is bounded by several green areas: Queen’s Wood, Highgate Wood, Finsbury Park and Alexandra Park. Crouch End started off as a hamlet on a medieval road from London to the northern parts of the country. Since then, it has expanded greatly, most notably during the Victorian period. One of the landscapes of the area is a red-brick clock tower built in 1895 as a memorial to Henry Reader Williams. Crouch End is also known for being home to Crouch End Festival Chorus, which has recorded with many famous artists. The domestic cleaning in Crouch End we offer is unlike any other. Give us a call on 020 3322 8143 and let us prove that statement.